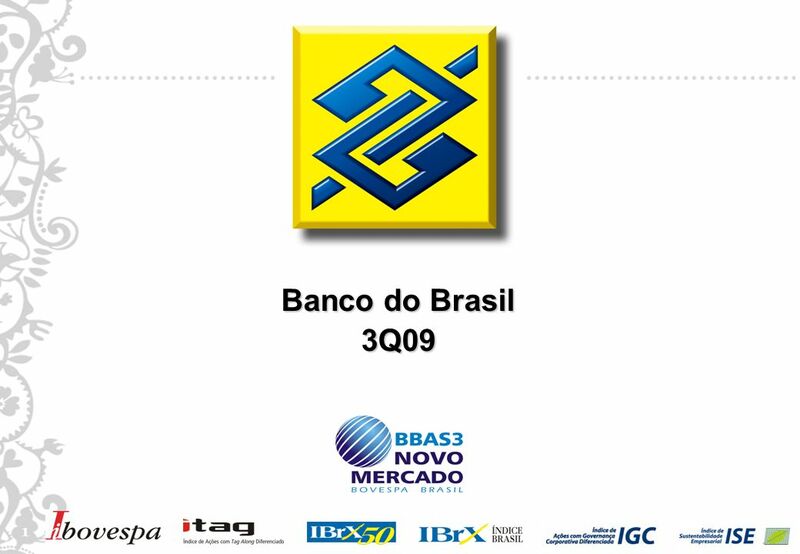 1 1 Banco do Brasil 3Q09. 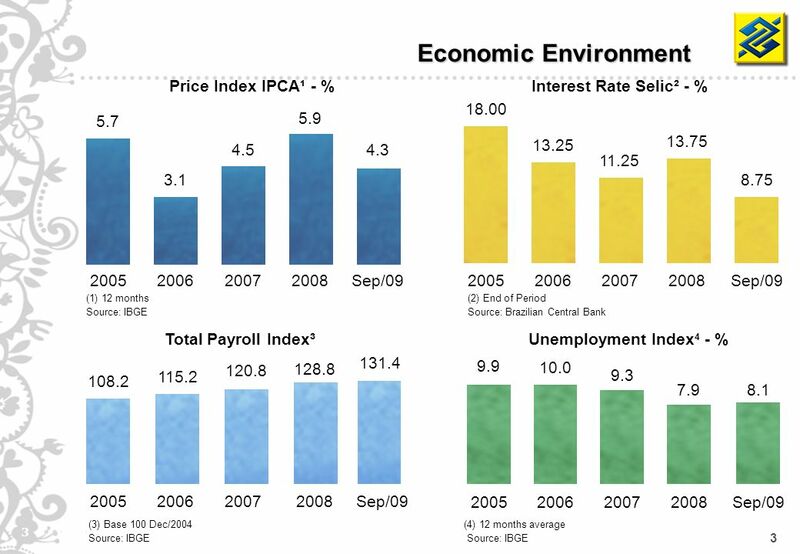 2 2 Disclaimer This presentation may include references and statements, planned synergies, increasing estimates, projections. 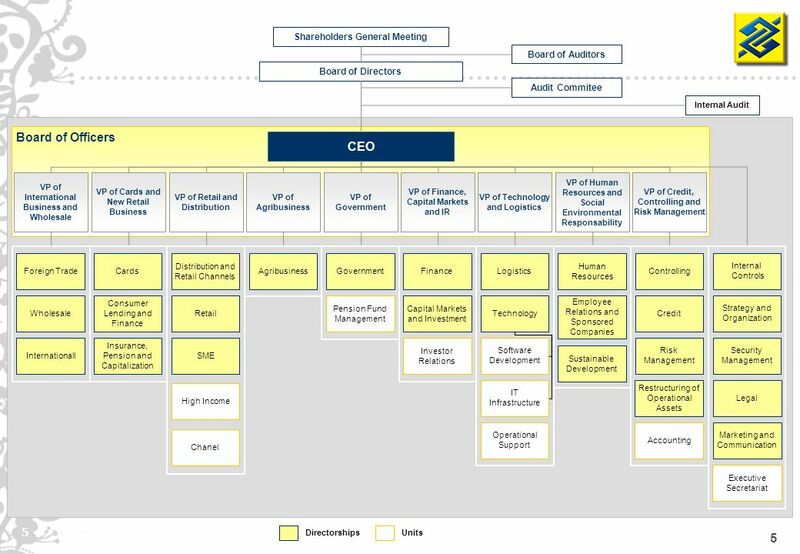 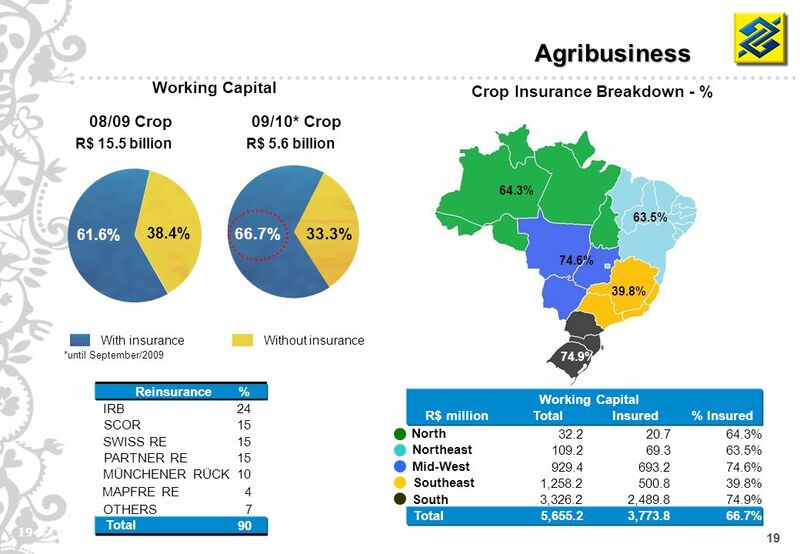 2 2 2 Disclaimer This presentation may include references and statements, planned synergies, increasing estimates, projections of results and future strategy for Banco do Brasil, its Associated and Affiliated Companies and Subsidiaries. 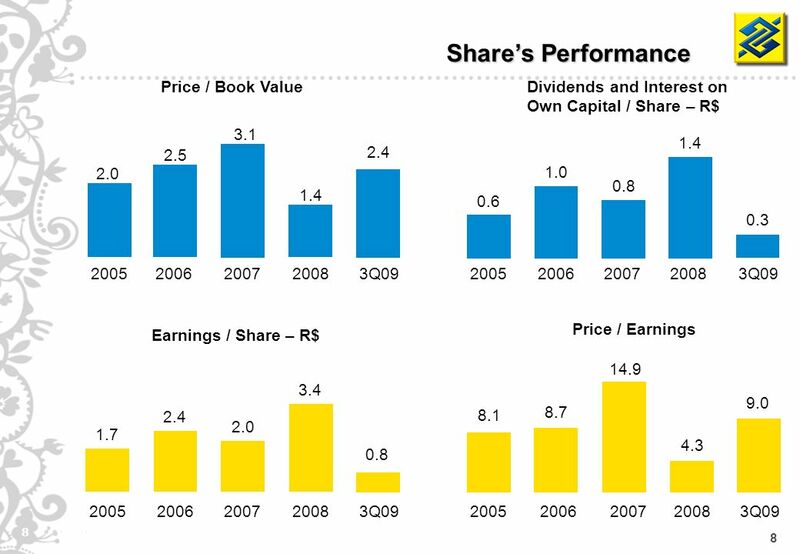 Although these references and statements reflect the managements belief, they also involve imprecision and high difficult risks to be foreseen, consequently, they may conduct to a different result than the one anticipated here. 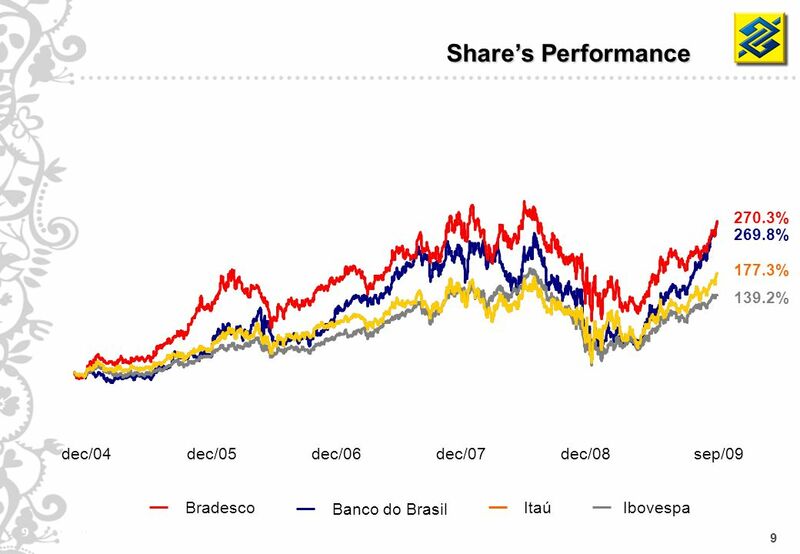 These expectations are highly dependent on market conditions, on Brazils economic and banking system performances, as well as on international market one. 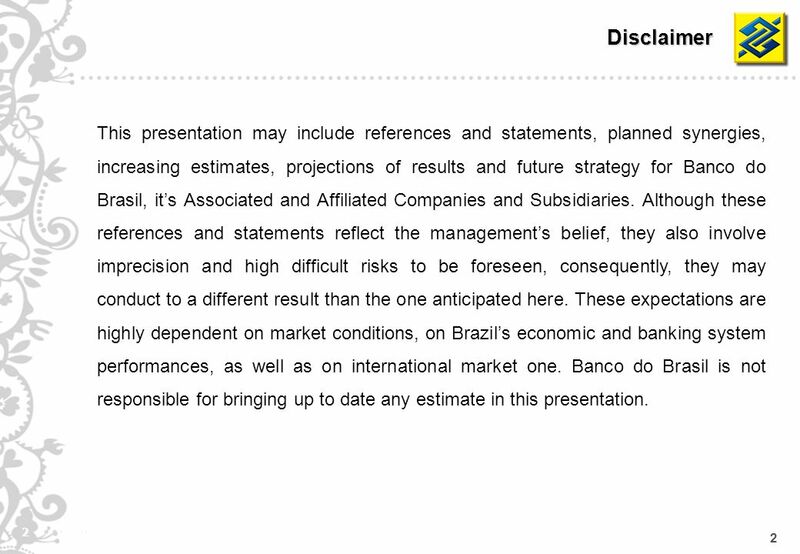 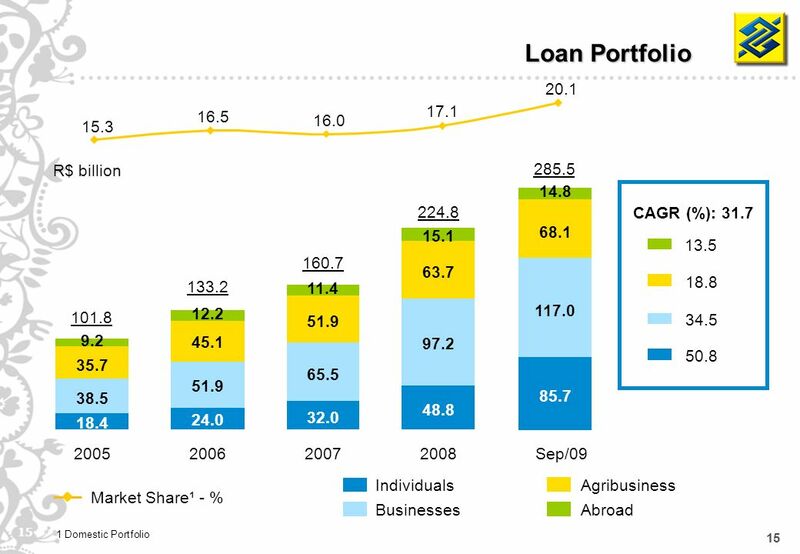 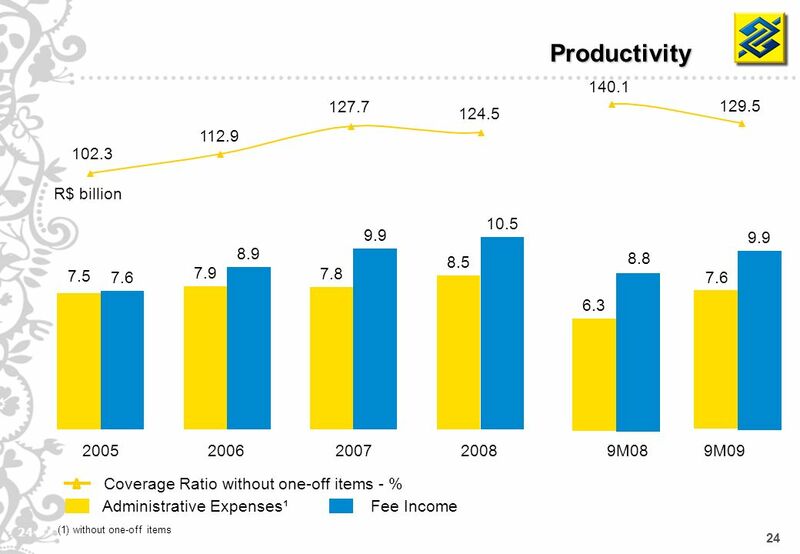 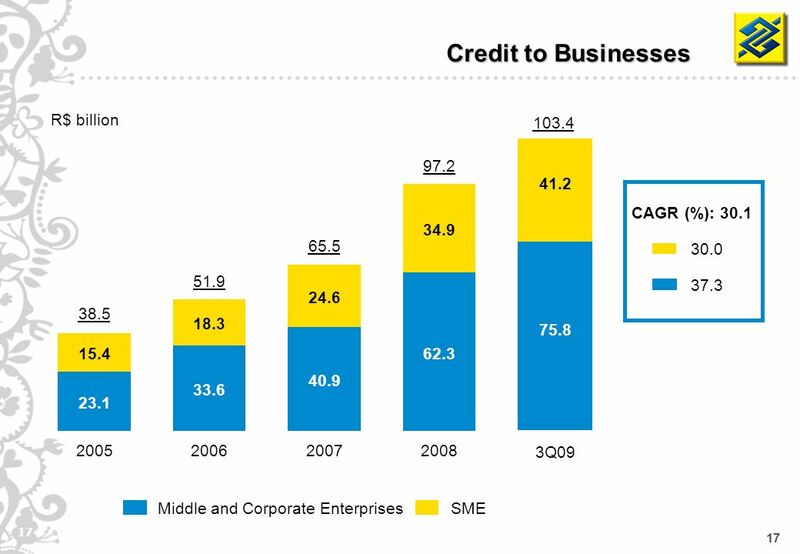 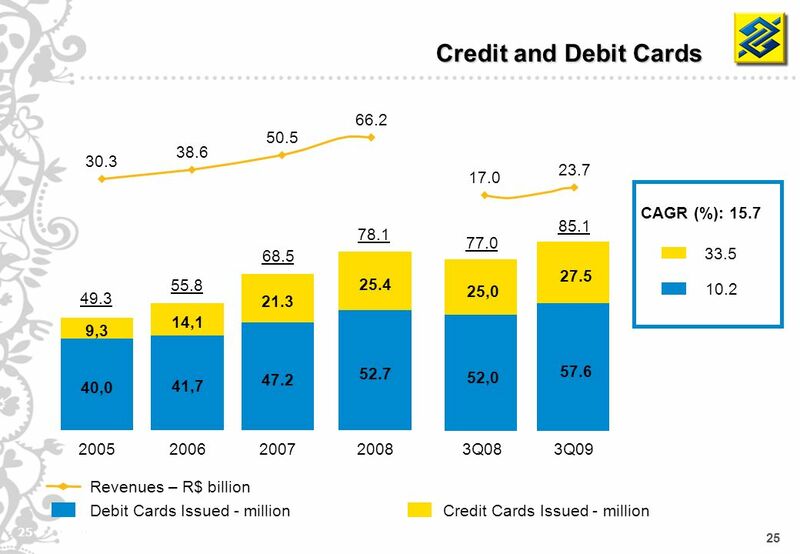 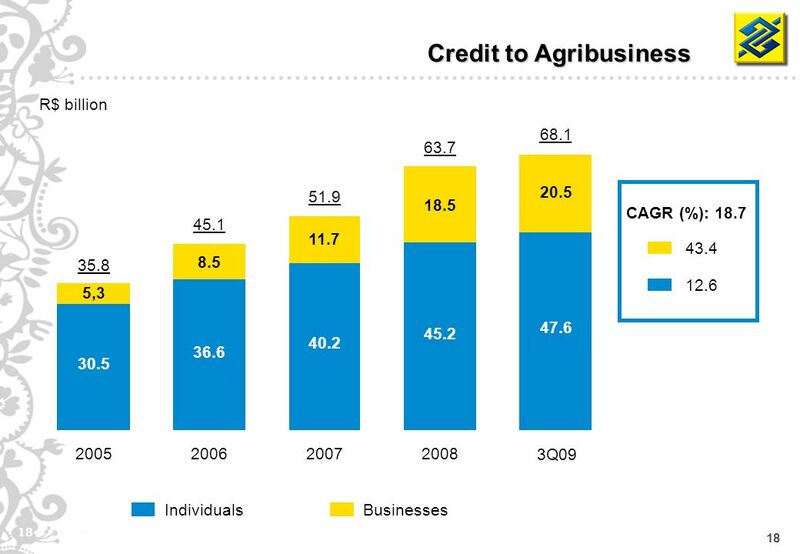 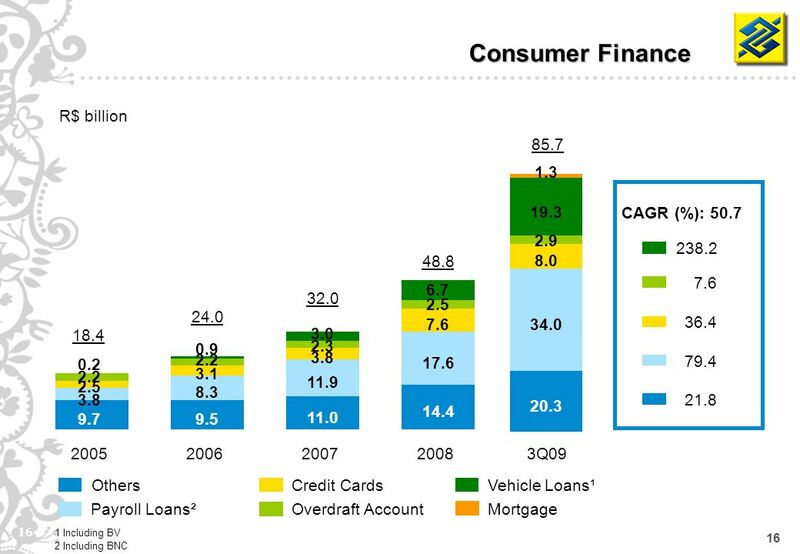 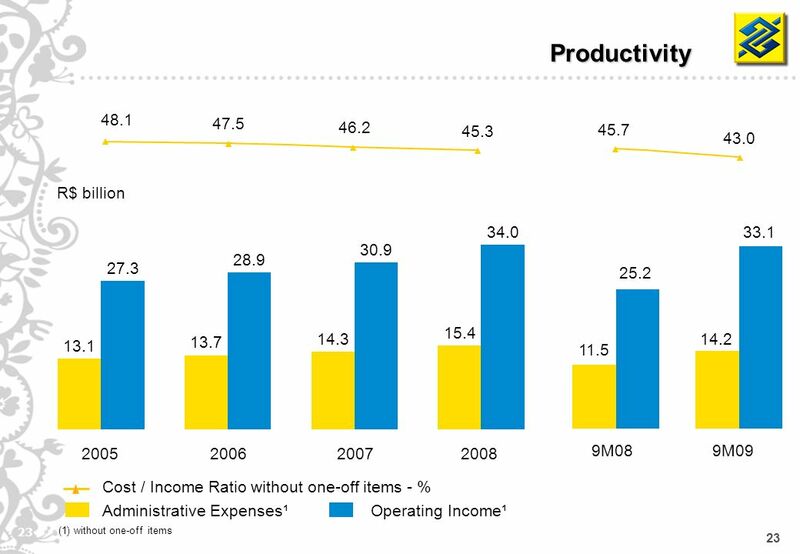 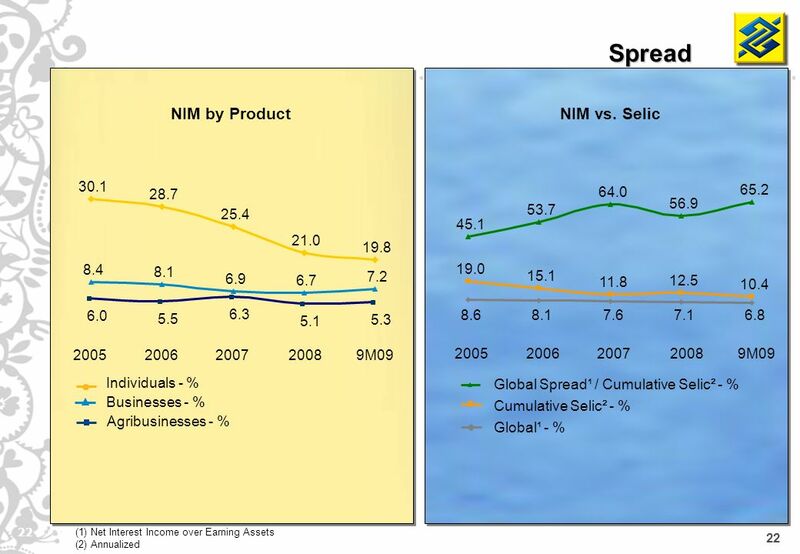 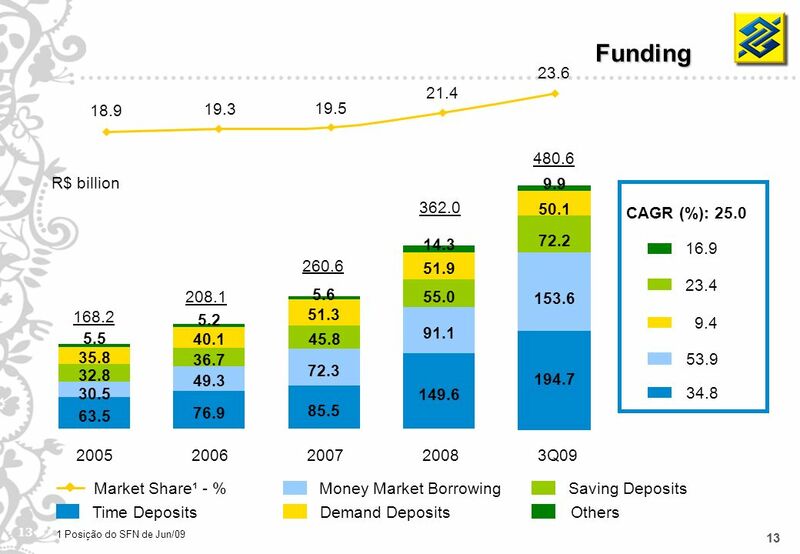 Banco do Brasil is not responsible for bringing up to date any estimate in this presentation. 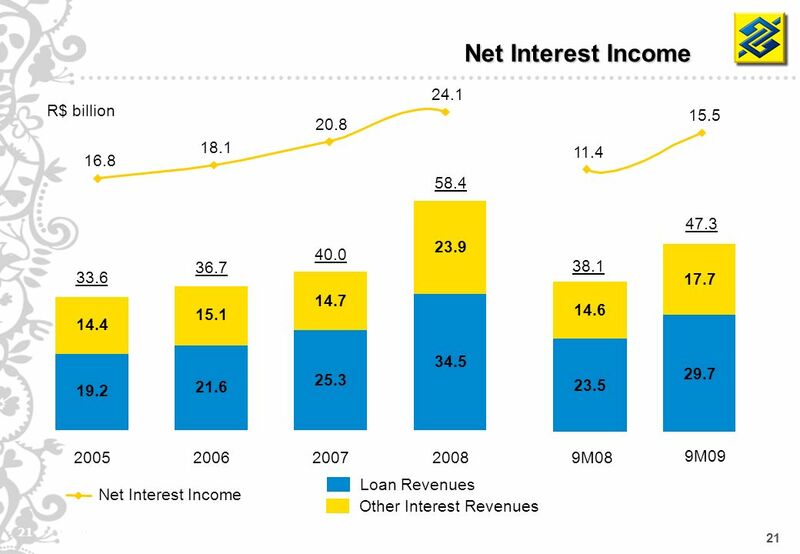 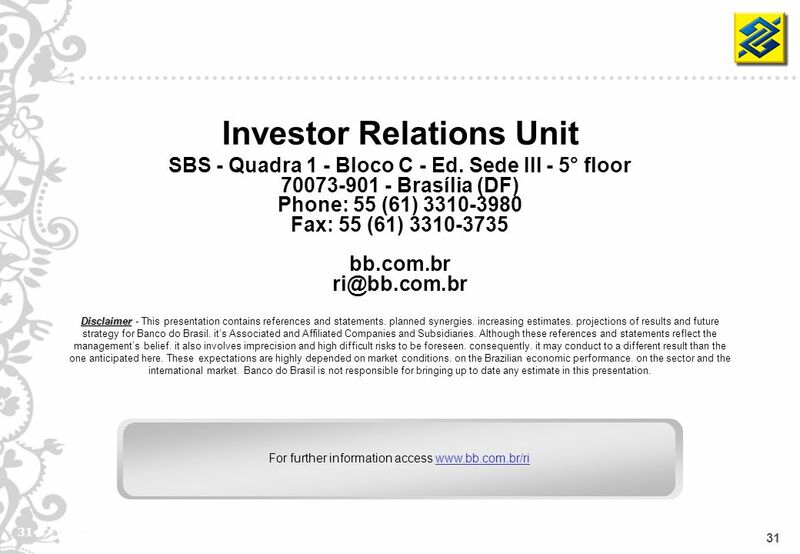 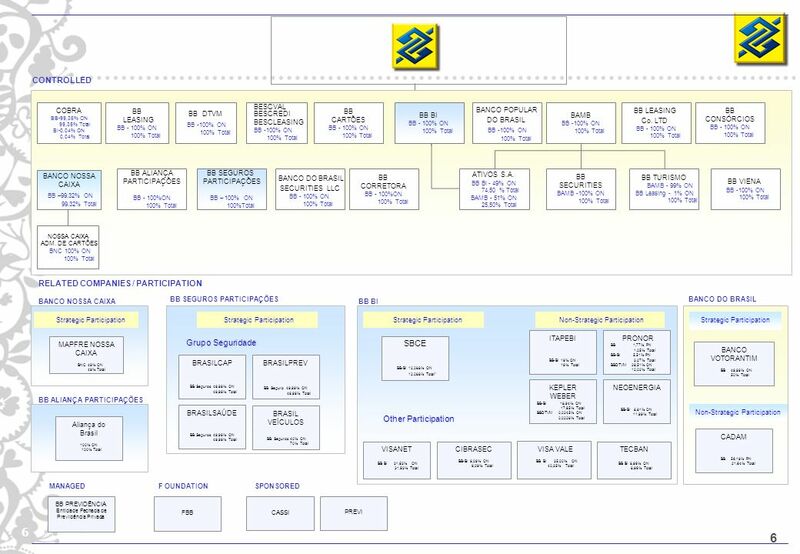 Download ppt "1 1 Banco do Brasil 3Q09. 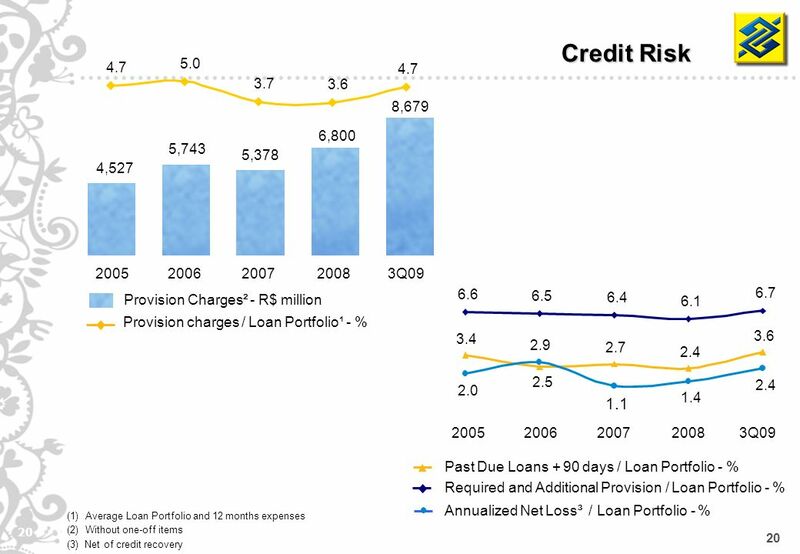 2 2 Disclaimer This presentation may include references and statements, planned synergies, increasing estimates, projections." 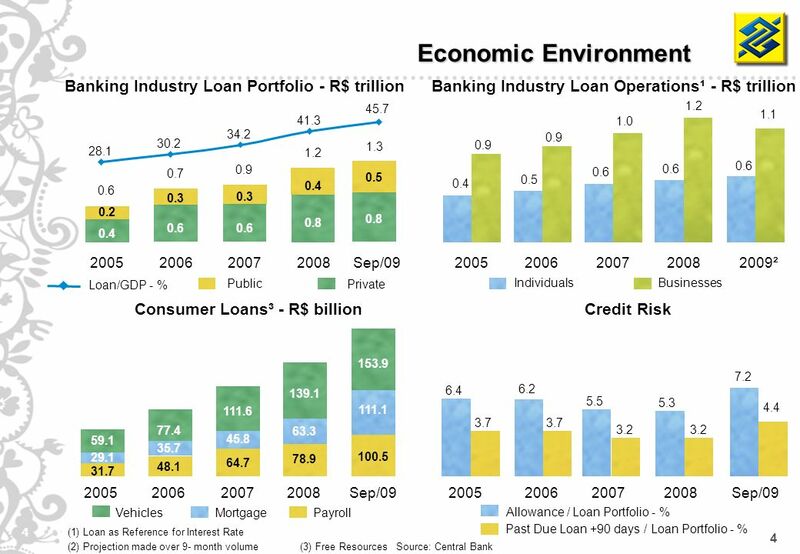 1 Banco do Brasil 1Q10. 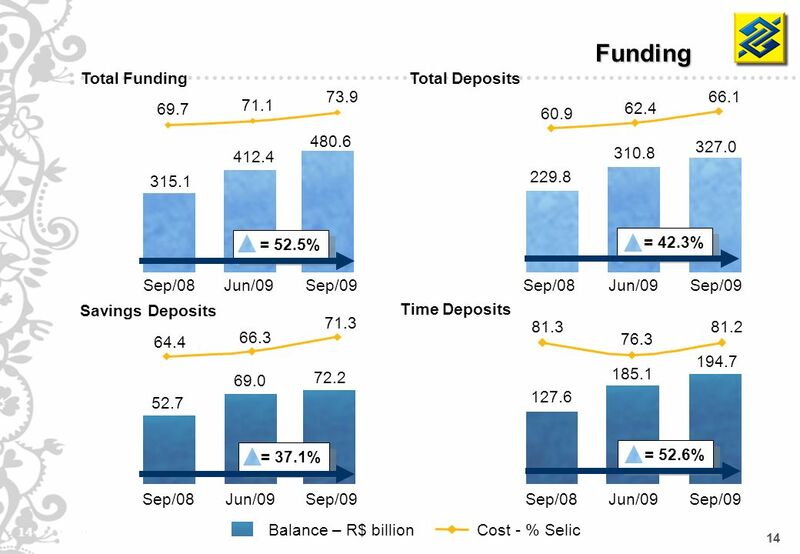 2 Disclaimer The tables and charts in this presentation show the financial numbers, rounded, in R$ millions. 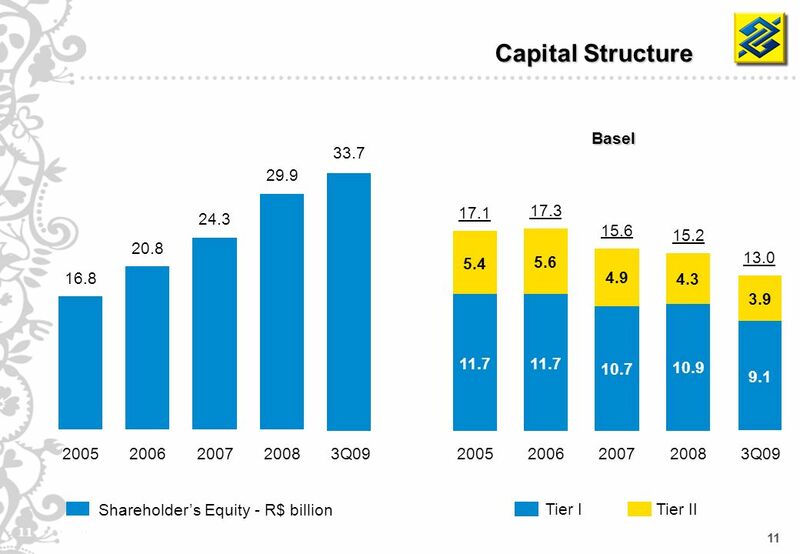 The columns of variation. 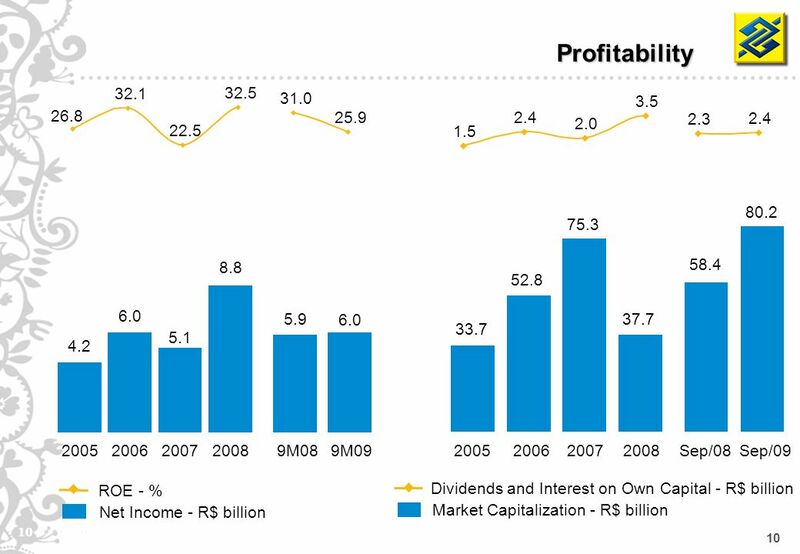 1 Banco do Brasil 2Q10. 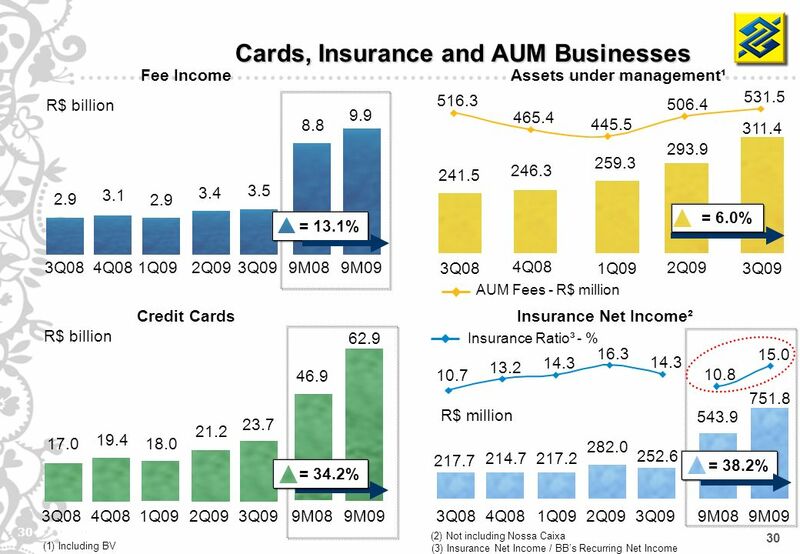 2 Disclaimer The tables and charts in this presentation show the financial numbers, rounded, in R$ millions. 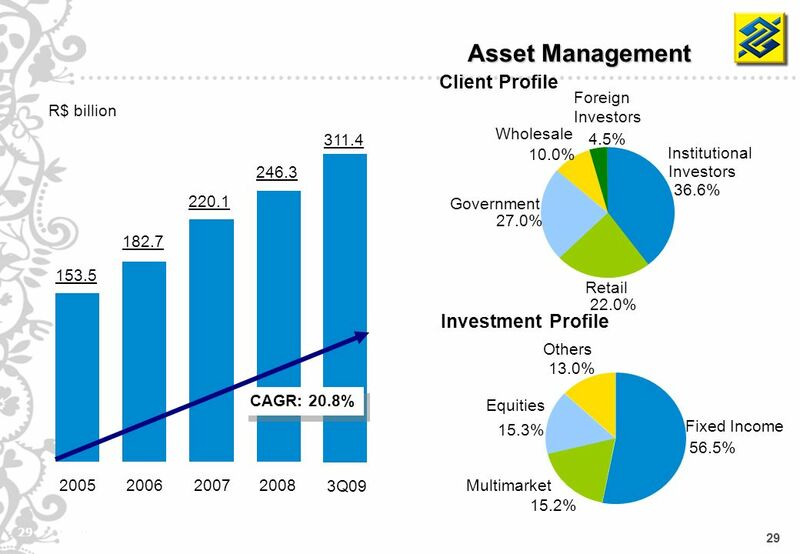 The columns of changes. 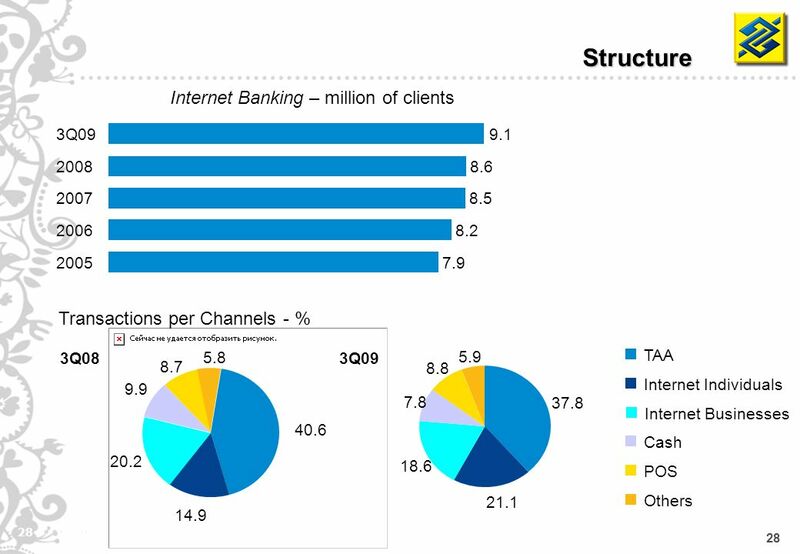 1 Banco do Brasil 3Q10. 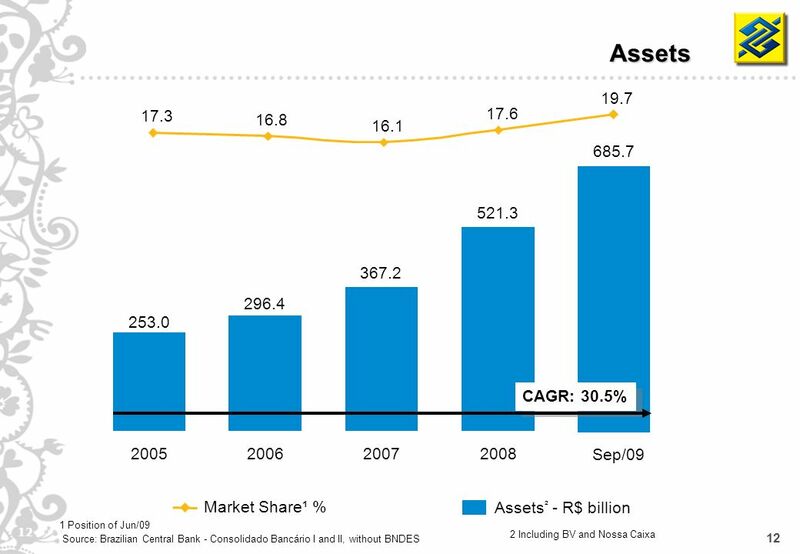 2 Disclaimer The tables and charts in this presentation show the financial numbers, rounded, in R$ millions. 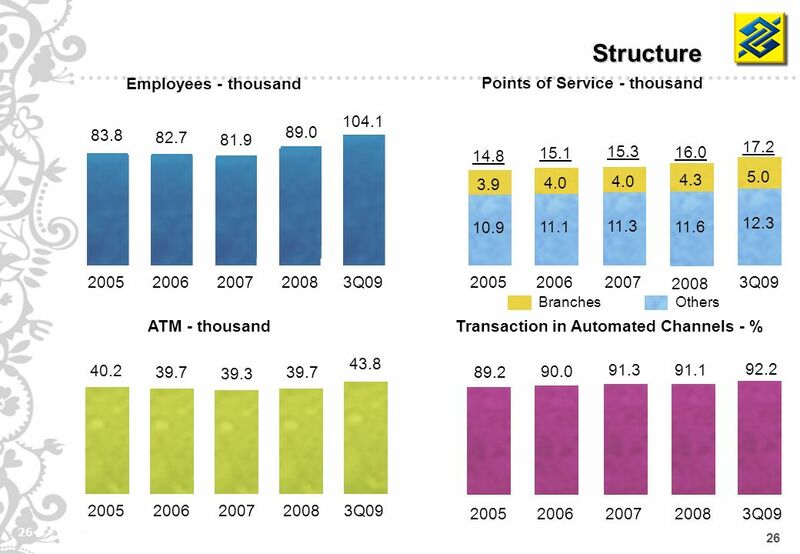 The columns of changes.